Promotional Feature: Performance is what we all want when it comes to computing devices and it's one such important aspect of any device that you cannot ignore it and purely base your choice only on features. So let's benchmark the VivoPC. 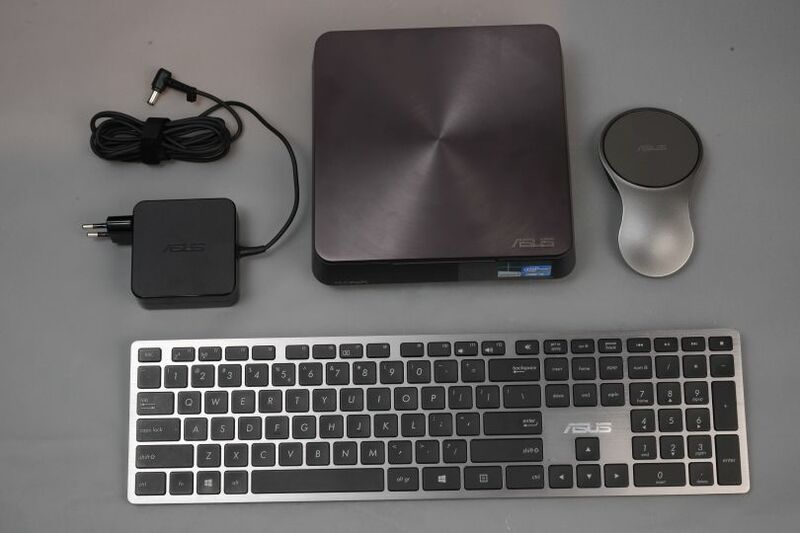 The ASUS VivoPC has been with us for some time now and all this while we’ve looked at, tested and gauged almost everything that this mini PC has to offer. Be it its features, specifications and advantages of using its added accessories, we’ve covered them all. But one thing we left out for the end was its performance. Since the VivoPC is targeted primarily at people who’re looking for an HTPC or people who want ease of use with remote capabilities or even people who are fond of using touch based input devices, it’s imperative that the performance of the VivoPC should be somewhere in the middle. We say this because that’s what ASUS had in mind while building the VivoPC, as they wanted it to be the best mini PC in the mid-tier price range. No, we’re not talking about ultra high-end performance because it would be silly to ask that from a different device such as the VivoPC. But what we mean to say here is that the VivoPC should ideally be looked at as a mid-range HTPC offering with a boat-load of functions and capabilties, something that would not only fuel your desire for a standalone media device but also have a footprint the size of a small DVD player. The ASUS VivoPC aptly fits that description in most aspects and to know about the final piece of the puzzle that is its performance read on. In order to get performance figures of the ASUS VivoPC, we ran a few benchmarks on the system and took a note of the results. We chose the 3DMark and PCMark benchmark suites to get the performance scores of the VivoPC. In 3DMark, we ran the IceStorm performance benchmark. IceStorm performance benchmark is an apt benchmark for a mini PC and it offers comprehensive results and it provides a graphics score, a physics score and an overall score. The overall score is what gives a fair idea about what kind of performance a user can expect from the PC in terms of creativity and productivity offered. You’ll find the 3D IceStorm performance benchmark scores below. Judging from the scores that we see for the 3DMark IceStorm benchmark, we can say that the ASUS VivoPC performs very well for the purposes it has been built. The overall score shows that the PC should easily be able to handle most regular tasks while also be able to hold itself up during demanding or resource-intensive tasks. Taking a stock of the various scores generated from the PCMark 8 Creative benchmark, it must be noted that the ASUS VivoPC did admirably well considering its form-factor. The VivoPC can definitely replace your existing small home or office setup and it should be able to handle your multimedia workload without much effort. A PC should always run cool and its temperatures must at least be within certain limits. This is why temperature readings are very important and they take up a major share in the performance of a computing device. After using the VivoPC for about two hours, at a surface temperature of 32°C around the PC, the internal temperature sensors reported a temperature of 43°C which if put into perspective is a really good temperature reading. This temperature shows that though the components inside the VivoPC are crammed together in a tight place, ASUS has made sure to design the PC in such a way that it doesn’t heat up much and always stay under a certain limit. 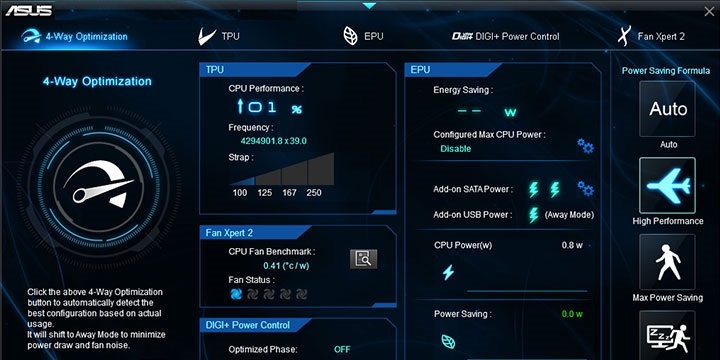 The ASUS AI Suite has always been a special set of utilities on ASUS motherboards and this useful suite has made its way onto the ASUS VivoPC as well. Basically, the ASUS AI Suite III is an intuitive software suite or hub that encompasses and provides access to various control and monitoring utilities built into the VivoPC’s motherboard. It provides controls for TPU, EPU, DIGI VRM and Fan Xpert. All of these utilities are presented on the AI Suite III user interface which make it look like a dashboard for monitoring and tweaking needs. A component of the AI Suite III, ASUS EZ Update is a program designed to manage all ASUS programs in order to search for and update to any new versions of the different ASUS programs if available. 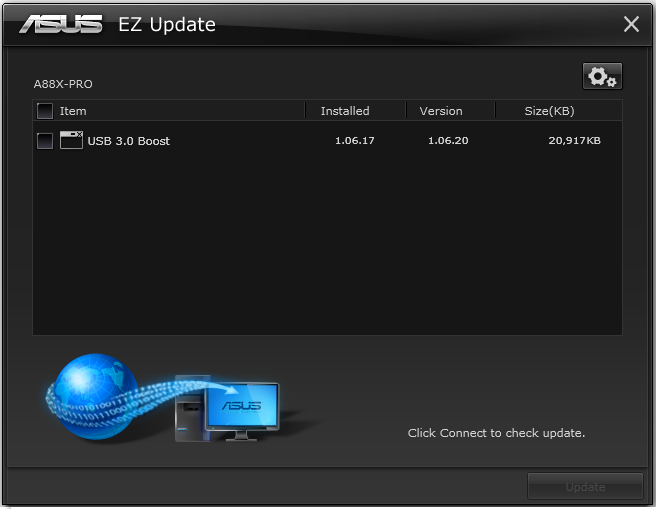 Using EZ Update, you can also flash the BIOS of the ASUS VivoPC’ motherboard. You can also configure EZ Update to check for updates automatically. As the name would suggest, ASUS WebStorage is a cloud based application service that lets users back up, sync and share files across various connected desktops, laptops, smartphones and tablets. ASUS WebStorage provides at least 5GB of space to regular users for free but if you own the VivoPC, ASUS gifts you free 100GB of space for a period of one year after which if you want to retain your space, you’ll have to look at the plans offered by ASUS. The VivoMouse Metallic Edition WT720 is a mouse with 3-in-1 PC control functions which can be bought as an add-on extra for the VivoPC as it’s not bundled with the PC. For starters, the VivoMouse can of course be used as a regular optical mouse but you also have an option to use it like a touchpad or even a wireless remote which is quite handy right? The best part about the VivoMouse is that it provides full support for gestures in Windows 8/8.1 making it extremely easy to perform functions effortlessly. ASUS has also added a few of its own gestures for using in Windows 8/8.1. The metallic keyboard is another add-on accessory for the VivoPC that’s been designed to match with the VivoPC with a nice brushed aluminium front plate and chicklet keys. Like the VivoPC, the keyboard is also very slim and has a rubber coated back for adding more grip. The keyboard as a whole is built well. We had a good time with the ASUS VivoPC and over the course of 30 days that we used this PC, we were constantly amazed by its size in relation to the features that it had to offer. Not only is the VivoPC built-to-last, it also provides the users a ton of flexibility when it comes to upgrading it that too without voiding warranty. We especially liked the VivoMouse for the novelty that it offered in the form of gesture support through its touchpad. Even the pre-installed software programs and utilities that come with the VivoPC are very intuitive and offer a new level of management or control over the PC. The addition of ASUS’ popular WiFi GO! feature is another thing that adds more gold to VivoPC’s pot thus making the VivoPC an irresistable offering. 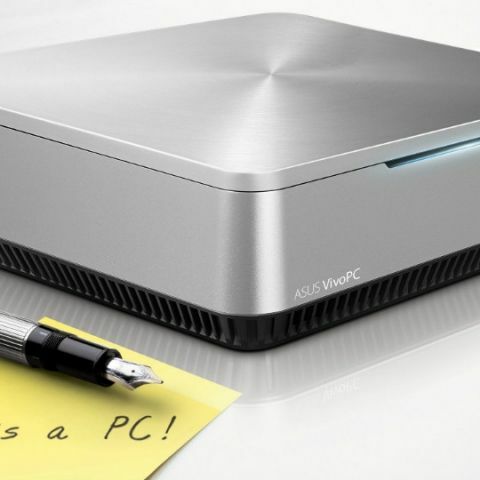 In short, what ASUS was gunning for with the VivoPC is for it to be a PC that you can keep, hook, carry, flaunt or store anywhere and which would work flawlessly like any regular desktop PC should. 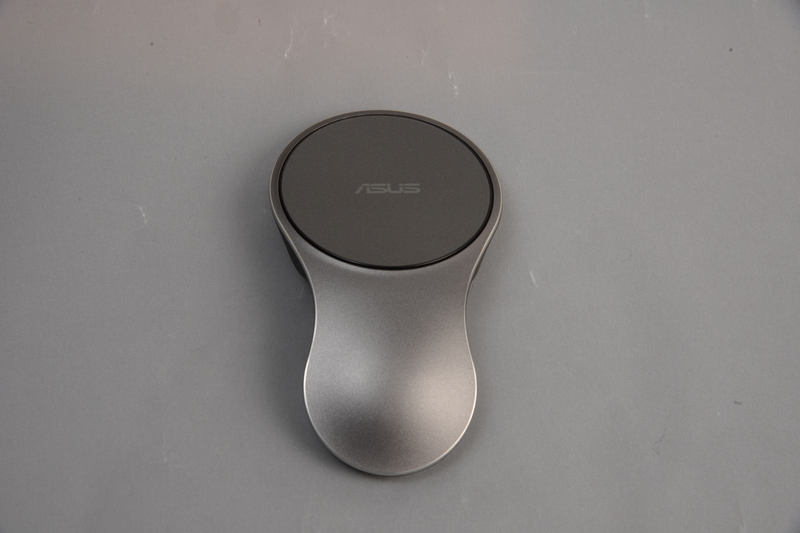 But what ASUS finally made not only did hold all of the above points true, but it also added diverse yet helpful functionality to the VivoPC making it a well suited choice for small office, or home use. Using the VivoPC as an HTPC with all the remote control capabilities that it offers is yet another point to be noted in case you’re looking to buy an HTPC. Check out the video below where we talk about the benchmark scores of the VivoPC and give a conclusion on it. You can find our previous articles for the ASUS VivoPC here.